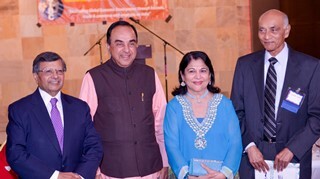 In his welcoming address, GIBC VP Ashwin Patel, called Dr. Swamy a visionary economist and politician and Hon. 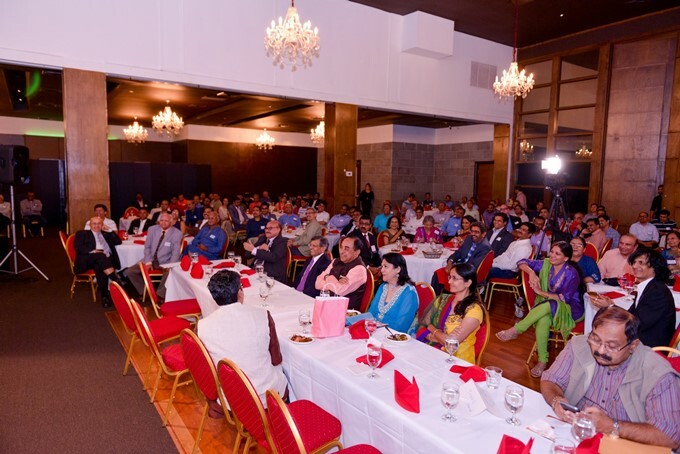 Nagesh Singh, CGI, Atlanta, a friendly diplomat winning the hearts of the Atlanta Indian American community in a short period of time. In his introductory remarks, Mr. Dhiru Shah described Hon. Nagesh Singh like a conductor of well-tuned orchestra under whose guidance the CGI office in Atlanta has become a friendly ‘India house’ for all NRIs. 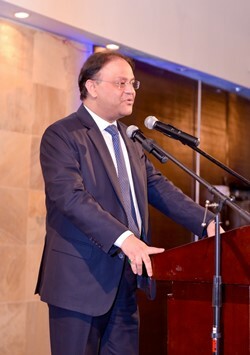 He noted that Mr. Singh is a seasoned Indian Foreign Service diplomat who has held several diplomatic positions in many countries and travels extensively in the six southeastern states to promote India’s economic and political interests. 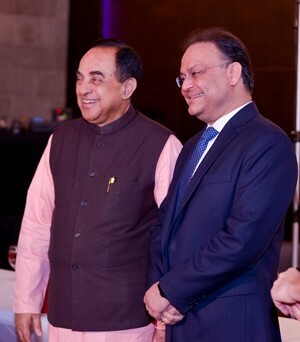 Dr. Subramanian Swamy and Nagesh Singh. 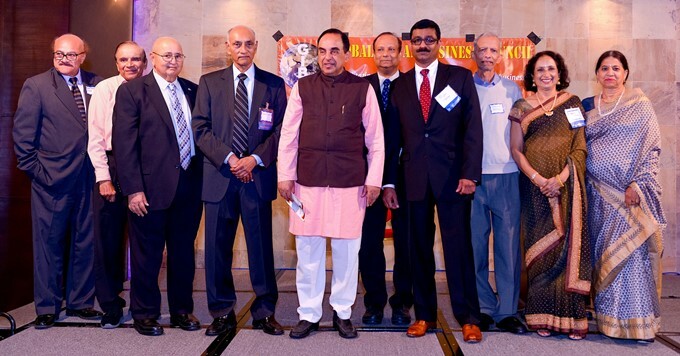 Dr. Swamy traced the evolution of the Indian economy from the ancient times when India accounted for over 50 percent of global GDP, through the 1200 years of invasions and colonial exploitation that reduced India to a famine nation by 1947. The Soviet model of centralized planning adopted by early governments had the effect of hobbling development and enterprise, while imposing a complex bureaucratic system beset by corruption. Neglecting agriculture in favor of centralized industrialization had disastrous effects. Back in the 1950s US State Department experts classified the world into those regions that could be saved from the coming Malthusian collapse, but India was regarded as too hopeless to save. Indian scientists implemented the Green Revolution, and in a short time turned India into a net exporter of food. Even today, India has the potential to increase agricultural output by a large factor, and dominate food exports. He argued for the long-proposed set of Water Grids to irrigate regions such as RayalaSeema, while ending the curse of annual floods. Swami argued that such projects will offer opportunities for labor, infrastructure development as well as innovation. To rousing applause, Dr. Swamy cited growing US-India friendship and cooperation, particularly in the area of combating terrorism. It is now well-accepted that most terrorism emanates from Pakistan, All the regions under Pakistani army control except for their central power base of Pakistani West Punjab, are restive and eager for freedom. He predicted that in time, Pakistan would break up into four pieces, with Balochistan, Sindh, Pakhtoonistan breaking free of West Punjab. On the other hand, Afghans regard India as a friendly and sympathetic nation that has always tried to protect innocent Afghans from Pakistani aggression.